Departing Beds chief Jon Boutcher fires one last broadside across Tory government's bows. One of policing’s “exceptional” leaders of arguably the most over-stretched force in the UK has used his retirement announcement to castigate the government for allowing the service to remain “hugely underfunded”. And departing Bedfordshire chief Jon Boutcher says his own force is no longer capable of “protecting its citizens”. The chief constable, credited with values that are “part of its DNA “, claims the force has been – and remains – the worst-hit in the country, battling the “most challenging and complex demands” normally only faced by metropolitan forces. A historical resources gap has “still not been addressed”, according to CC Boutcher, who intends to step down after 35 years in the service on July 5. His comments are certain to reignite the simmering row linking rising violent crime and dwindling officer numbers which has fractured the working relationship between all levels of policing and Theresa May’s government. In February the row came to the boil in Parliament as MPs were told of his angst when he “literally ran out of officers” on a 'demanding' Sunday – and had to say ‘no’ to policing the people. A catalogue of serious incidents – a teenage murder, four rapes, stabbings outside a takeaway, a shooting, five prison officers assaulted in a riot and a fatal road accident – brought the Bedfordshire force to a standstill on September 16. MP Andrew Selous recounted the story – told to him by CC Boutcher in a letter – as the House of Commons discussed funding for forces in England and Wales. Home Secretary Sajid Javid had to off a barrage of protests in the Commons, claiming it was "too lazy" to blame a drop in police numbers for rising crime and instead suggesting the rise in serious violence, cyber crime and reporting of sexual offences could not be attributed to one factor. Now in a direct assault on the Tory policymakers, the Bedfordshire chief argued: “Policing remains hugely underfunded and Bedfordshire Police provides the most profound example of this as a force with the most challenging and complex demands normally only faced by metropolitan forces such as the Met, West Midlands and the like, and yet the funding gap has still not been addressed. “I recognise recent efforts by the current Home Secretary and policing minister to reverse a long standing lack of police investment. “However, I would remind everyone that it is the first responsibility of government to protect its citizens, policing must be properly funded. The chief constable’s reign at Bedfordshire has been rich in controversy as well as achievement. In March 2017 he publicly criticised a report by Her Majesty’s Inspectorate of Constabulary which rated his force as the worst in the country for keeping people safe and reducing crime. It identified “systemic failings”, and deemed overall service provision “inadequate”, a drop from the previous year’s assessment of ‘good’. In response, he claimed: "My officers cannot cope with the demand and no-one seems to be listening. Something is going to give. Things cannot go on as they are. My officers are exhausted. "I can't tell you why they aren't listening. I can only assume it is political." Violent crime has worsened markedly in Bedfordshire in recent years, increasing by 57 per cent since 2010. In total, 10,947 violent crimes were recorded in the county last year. Home Office data shows that the force had 1,148 officers last September, 12 more than the year before, the second consecutive annual rise. In December it was announced that Bedfordshire would be given an extra £8 million of funding, allowing it to recruit 260 new officers. And in spite of the force’s travails, the retiring chief exudes positivity in his ‘leaving’ declaration – presenting an update message for the future. He stated: “I have been incredibly fortunate to have had such a wonderful policing career, but being chief constable of Bedfordshire has been the highlight – without question. “Bedfordshire as a force had previously faced criticism over many years, but that is no longer the position. “We have gone from being under special scrutiny and supposedly the one of the ‘worst’ performing forces in the country according to Her Majesty Inspectorate of Constabulary, to no longer being subject to that additional HMICFRS scrutiny. Bedfordshire police and crime commissioner Kathryn Holloway, who will be responsible for appointing his successor, was fulsome in her praise of the departing chief. She said: "I believe he will be recognised as an exceptional chief in the history of Bedfordshire Police including his genuine focus on boosting diversity in recruitment. “His values are part of the DNA of the force and he leaves a strong legacy. "He has established a culture within the force and a personal leadership style where the buck stops with him that I will be looking to when recruiting his replacement - a true leader linked to our communities and committed to community policing. “It’s been a pleasure and a privilege to work shoulder-to-shoulder with the outstanding Jon Boutcher over the last three years. CC Boutcher has devoted 35 years of his working life to policing, 28 as a detective with the Met. He worked on the Regional and National Crime Squad, targeting serious and organised crime groups with links to international criminal networks. He was also part of the Met’s Flying Squad before becoming a leading counter terrorism senior investigating officer dealing with numerous national and international operations. He joined Bedfordshire in 2014 and took over as chief constable the following year. CC Boutcher is also the National Police Chiefs’ Council lead for race and religion and exudes pride at being one of the top performing forces when it comes to recruiting from black, Asian and minority ethnic backgrounds. He added: “The work we are doing to attract candidates to ensure we are reflective of the communities we serve has been held up as best practice and is something I am utterly passionate about. Retirement will not prevent him from carrying on leading Operation Kenova , an historic investigation into a number of alleged murders, kidnaps and tortures in Northern Ireland. And on a final note, he added: “The officers and staff of Bedfordshire Police do a wonderful job on a daily basis and I’d like to thank each and every one of them for their support during my time here. Well said but shame you and all your NPCC colleagues hadn't done this for the last nine years and challenged the Tory austerity plan for policing (cut hard, cut deep and be deaf to their squeals). The current system puts Chief Constables on fixed term contracts and the precarious nature of their employment means that they ultimately serve at the pleasure of the PCC. Ultimately, only a ‘yes man’ becomes a CC and only someone at the end of their career would apply for a time limited position. The system that has been created ensures that CCs only speak their mind as they walking out the door. There are no checks and balances. The Tories obliterated the tripartite system that the 1964 police reforms delivered; which is a system that, whilst it could have been improved, was far superior to what we have today. By heck we are in agreement but, I have said it many times before, It is now all about politics and pleasing the Political PCC's. The problem is that they were not around when the cuts started and they have not particularly been vociferous either. I would much rather have the old Police Authority than a PCC anytime. The strategic side of policing has become totally politicized. ACPO had its responsibilities split between the NPCC and the CoP, which in turn is ran like a private business and must become self-funding. The PolFed has been hammered into submission. All of this has culminated in the service being poorly served by its leaders, its representative body has become pretty much toothless, its major training body more preoccupied with ensuring its own existence, its PCCs feathering their own nests and furthering their own political aspirations, and the bobby on the beat trying to carry on regardless aware that something doesn't seem quite right. 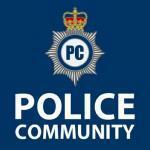 I agree about the PCC v Police authorities. I can’t tell you what our PCC does day to day or his/her over inflated office where everyone is a manager but manages no one. The words of this Chief are tomorrow’s chip paper. They bear no weight as he’s no longer within policing. It will be put down to him being a bitter ex chief. I wonder if his successor would echo his sentiments? As ever the NPCC preach about leadership but very few (If any) demonstrate leadership. Are you saying your CC doesn't meet with the following?